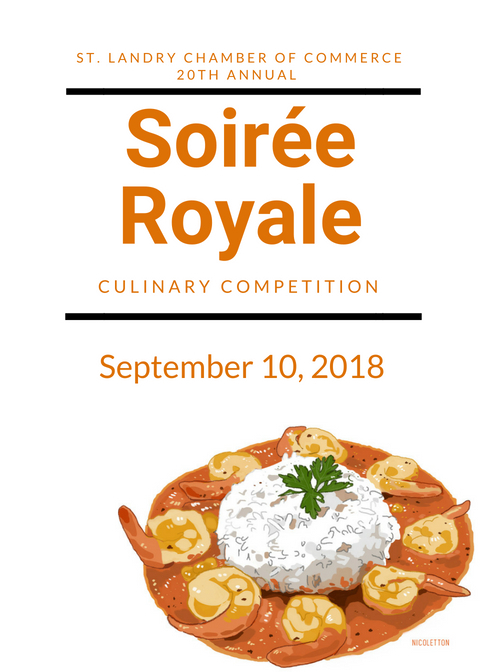 Get your tickets today for the Culinary Event of the Year! Sample dishes from the best chefs around Acadiana as they compete to show you what they've got. This year we are celebrating the 20th annual Soirée Royale at Evangeline Downs, and you don't want to miss it! Tickets can be purchased through the paypal button below. You will also see the option to sponsor as well! Sponsorships will be the only way to reserve seating for this event. Any Online Tickets purchased after August 29th will be held at the door for you.